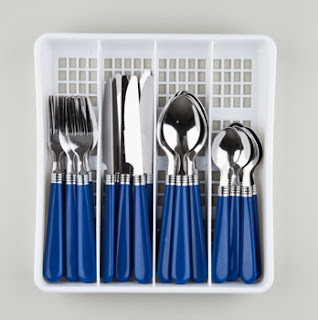 24pc Flatware Sets w/ Tray only $5.75 + 10% Off or Free Shipping! Wow, you can get 24-piece flatware sets with a tray for only $5.75 at Totsy right now! You can choose from several different colors. Or, you can get 36-piece sets for $7.75. You can get sets with as many as 48 pieces.